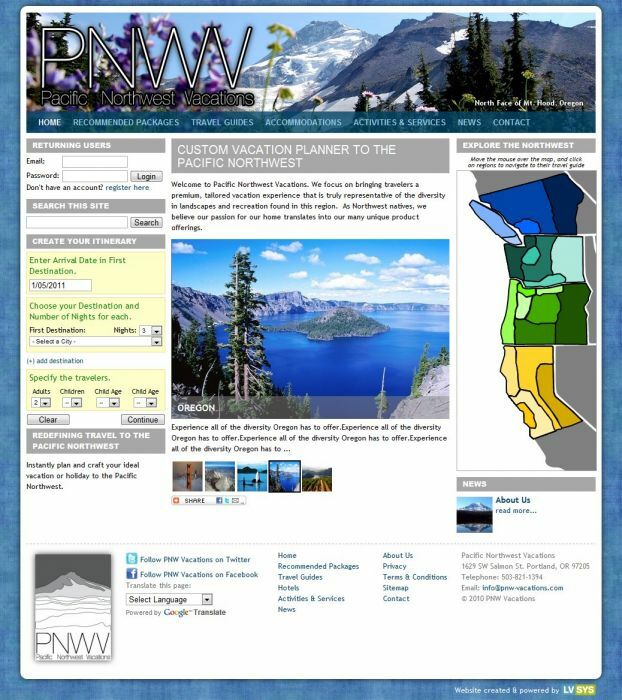 A travel website built to explore, plan trips to and book trips to the Pacific Northwest. Features youtube video slideshows intermingled with great photography. Interactive exploration maps, trip maps, and integration to a 3rd party booking engine.